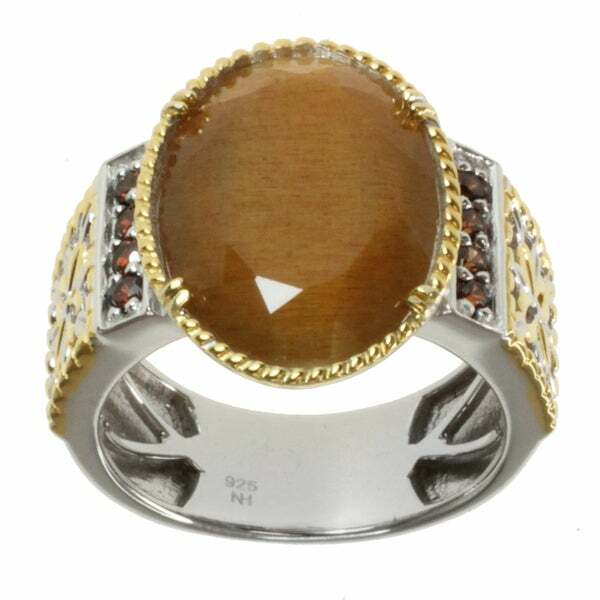 This handsome one-of-a-kind Michael Valituttii Men's ring features a golden sunstone accented by mocha zircons. Crafted of palladium silver with yellow gold-embraced detailing, this ring has a highly polished finish. This ring is available in size 9.5 only. All carat weights and measurements are approximate and may vary slightly from the listed dimensions. Treatment code N (golden sunstone, mocha zircon). See Treatment Guide for further information.